Fans will be treated in a consistent, professional and courteous manner by all arena and team personnel. Fans will not engage in fighting, throwing objects onto the ice, including Throw for Dough pucks, or entering the ice surface. Fans who engage in any of these actions will be automatically ejected and could be prohibited from attending future Griffins games. Note that for all Griffins Throw For Dough contests, an announcement will be made over the PA when the time is appropriate to throw your pucks at the on-ice target. Fans will not smoke inside Van Andel Arena, as the arena and its surrounding areas are non-smoking, and re-entry to the arena after exiting to smoke is not allowed. This policy includes e-cigarettes and vaping. Fans will pass through a security checkpoint before entering Van Andel Arena. Purses and other small bags smaller than 14"x14"x6" will be permitted into the arena after being searched. Large bags, i.e. backpacks, suitcases, beach bags, large purses, etc. will be prohibited from entry, the exception being bags used to carry skates into the arena for games that feature post-game open skates. Fans will consume alcoholic beverages in a responsible manner. Intervention with an impaired, intoxicated or underage guest will be handled in a prompt and safe manner. Fans will comply with requests from arena staff regarding arena operations and emergency response procedures. The Griffins and arena staff have been trained to intervene where necessary to help ensure that the above expectations are met, and fans are encouraged to report any inappropriate behavior to the nearest usher, security guard or guest services staff member. Fans who choose not to adhere to these provisions will be subject to ejection without refund and possible revocation of season tickets and may also be in violation of city ordinances resulting in possible arrest and prosecution. 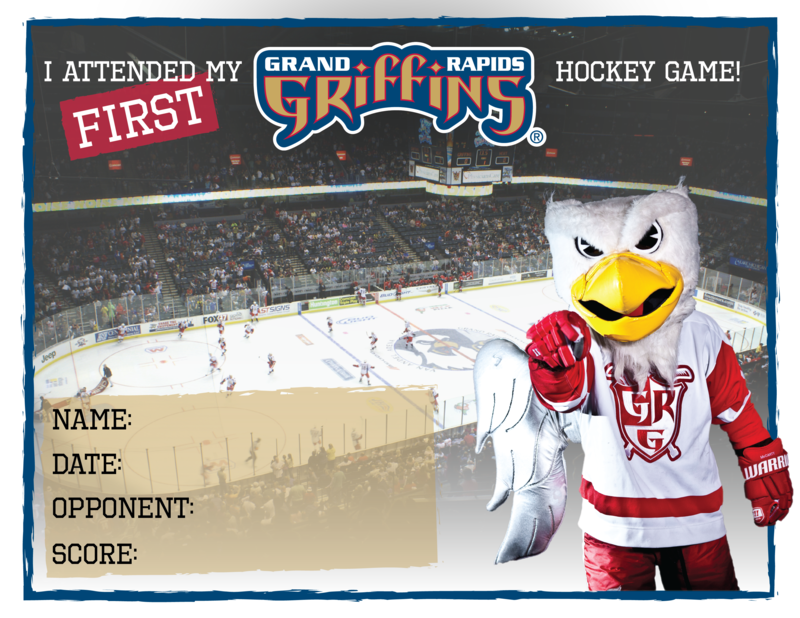 Thank you for adhering to the provisions of the Griffins Fan Code of Conduct!